"As the forces of Darkness and Light collide, a child holds the key...to the Secret Pass." Watch The Legend of Secret Pass online & overview. Where to watch The Legend of Secret Pass. All available online streams and DVD purchase information. Movies synopsis, runtime, release dates and more. 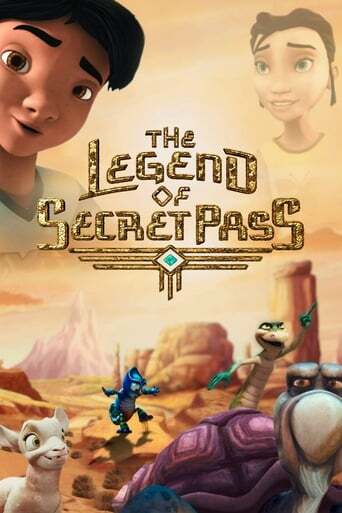 Do you want to watch movies FREE like The Legend of Secret Pass (2019)?. Why not sign up to one of the streaming services below!. The Legend of Secret Pass maybe available to watch online or stream from the links and rental services below. Please note we only list LEGAL streams and rentals for this movie and a rent or purchase fee may apply. Buy The Legend of Secret Pass on DVD or BluRay? Are you looking to by The Legend of Secret Pass on DVD, BluRay or 3D? If it's available to buy you will find the best prices and most trusted market places to buy from below. The Legend of Secret Pass was released January 2019 and is directed by Steve Trenbirth. Frankie Muniz,Ron PerlmanandJoe Pantoliano are some of the actors that star in the The Legend of Secret Pass movie, for a full list please see the cast tab in the movie menu above. The Legend of Secret Pass is a Fantasy movie and the approximate length of the movie is 92 minutes. The movie cost an estimated &dollar;25,400,000 to create and scores a on IMDB.com..